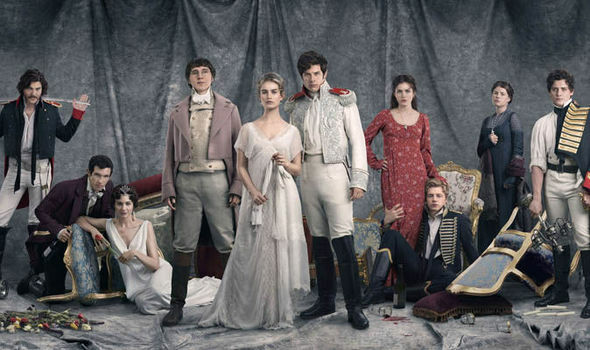 When it comes to television, there are many things I love, and these include miniseries based on books, period dramas and BBC adaptations of books written in the 19th century. As you can guess, there’s been something lately on TV that embodies all these aspects, and that is BBC’s adaptation of Leo Tolstoy’s War and Peace, a huge book that I’ve never read and Lord knows when I will have the time to do so (I love books more than anything, but I actually read books for a living, and after those, I have a pile of books I want to read for fun before I read any Bible-sized novel that is not on said pile). But anyway, to the point. When this miniseries began, I couldn’t watch it because I was back in Spain for Christmas, so I resolved to do one thing -to watch it all as soon as it ended. You know, so that I wouldn’t have to spend a whole week waiting for the following episode and so on. A miniseries such as this one, with so many characters and so much of everything, is almost impossible to review, so I have decided to do what I do best, and that is to simply write my thoughts as I watch it. It worked for me last year for my Game of Thrones reviews, and it worked for me when I wrote about 1990’s Captain America -which will be the style I will be following. So, since I’m watching War and Peace after its broadcast, these posts will be rightfully called “pseudo-live blogs.” I already know I’m going to enjoy writing them, so I hope you will enjoy reading them. Expect the first one sometime by the end of the week! I’ve enjoyed W&P for what it was, pretty people in costume drama. Helped that James Thortan and Gillian Anderson were in it. We’ve been spoiled for choice TV-wise. The X-Files, W&P, and El Ministerio del Tiempo is back! Are you going to be reviewing it this year?